I didn't really know this was a thing until Reuben exited my birth canal, but it is. In the shower I feel guilty when he cries and I'm trying to wash the soap out of my eyes and sing to him at the same time. I feel guilt when I desperately want a few minutes to myself. And I definitely feel guilt over how little time I have for my husband and my friends. My heart nearly breaks when Reuben looks at me with all the trust and love in the world. I know I cannot be a perfect mom. Yet right now as Reuben is only 8 months old I am basically his whole world, his safety net and the milk machine that comforts him and keeps him alive. And I love every sleep deprived minute of it. To Reuben right now I am a perfect mom. One day he will realize I am not. One day I will hurt him, even unintentionally with my imperfections and selfishness. This is why I am glad I have a savior who is perfect who I can point my son to in all moments, not just the ones that hurt. I need Jesus more then ever as a mom, although honestly I am sure I needed him just a much before. I just wasn't desperate enough to realize it. Now I know that the way Reuben loves me without question and without judgement is the way I want to love God. And I know God sees me when I get frustrated and overwhelmed and he sees me when I'm nursing and thinking about crochet...he sees me when I feel like I've gotten nothing done all day. He mourns with me in the evening when all I want is an hour alone with my husband but my son is teething and clingy and not napping. He knows my struggles and the desires of my heart. Yet not my will but his. 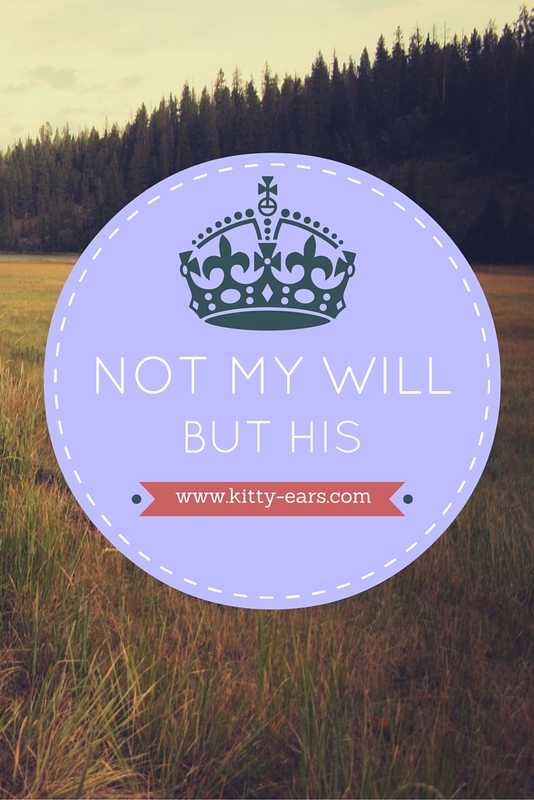 That has stuck with me a lot this month-- not my will but his. When I just want a few minutes to myself but the dishes need to be done and Reuben is crying and I just want to go crochet something and be creative, because I haven't crochet anything in months and I feel so guilty about that too...God sees me. And sometimes I get time to crochet and sometimes I just nurse Reuben. Through it all I just want to honor God, and I want God to be enough for me. Not my will, but His. And I am done with mom guilt. Mom guilt tells me I'm not good enough, and you know what, I'm not. But God is. And he's given me Reuben for a reason and He's also given me a big soppy mommas heart to love and enjoy and cherish all the little and big and messy and poopy moments. When I feel like I'm not good enough, when I feel defeated and sad and broken and done...I just remember that God is big enough. And I look at Reuben with new eyes, with Gods eyes-- and I see a little boy who needs me the way I should need God, with all of my heart. And I go on. Not my will, but HIS.